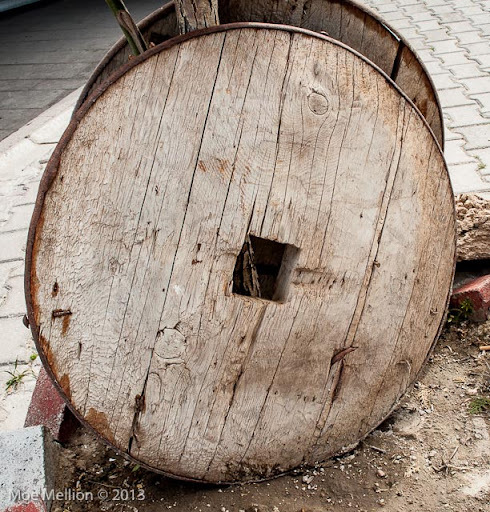 A few days ago I noticed the first wheel shown while having lunch at an outdoor restaurant in Soganli, Kapadokia. 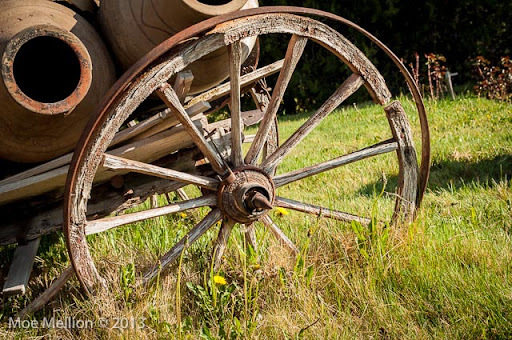 I wondered how old it was and how long it had been used. Over the next two days, I found more old wheels on display and decided to post them. 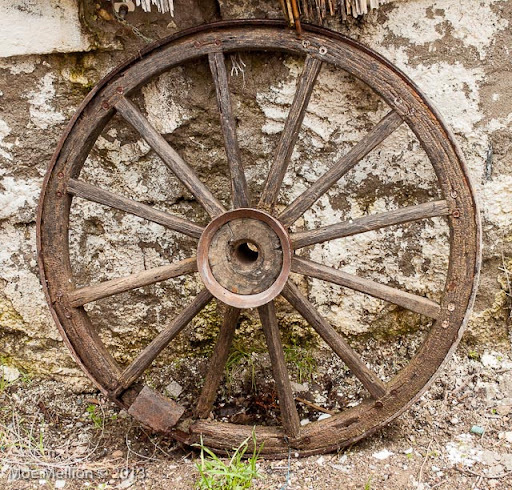 The first two images are simply solid wood wheels with iron rims. This one is newer with a hub and spoke design. The next two are on the same side if a wagon. 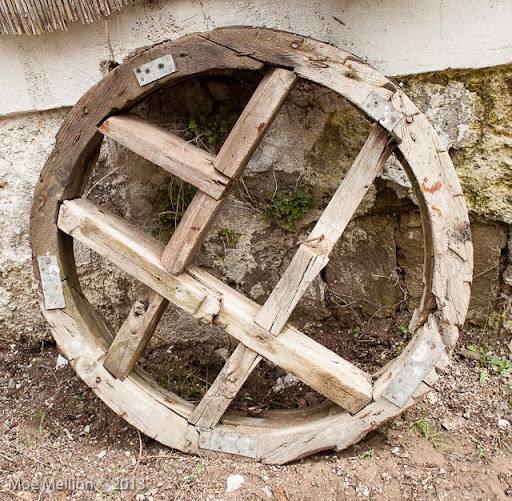 They have similar construction to the wheel above, but they are much more worn, to the extent the rims are falling off. Note the spike shape of the ends of the axels. 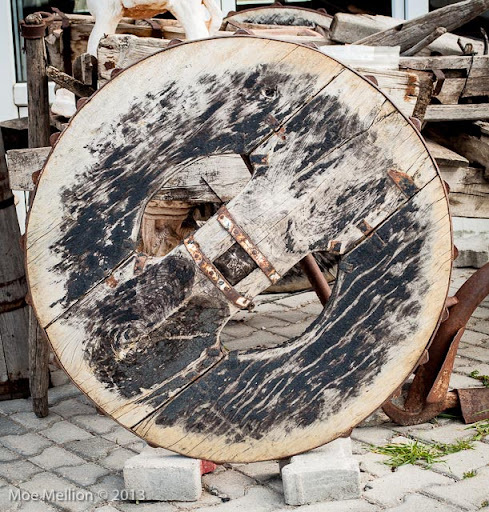 This wheel is mounted on an old plow designed to be pulled by two large animals. The plow is shown in the following image. 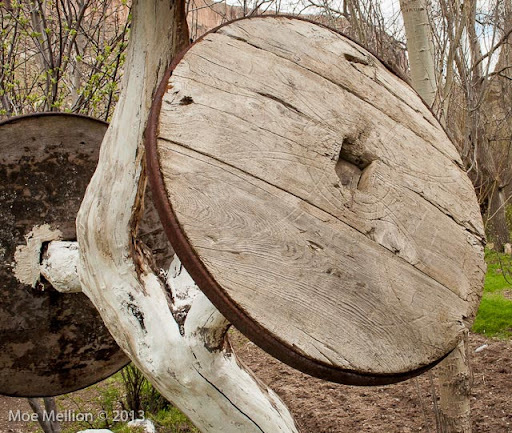 A large wooden axle connects the wheel to its mate on the other side, but the axle is not actually connected to the plow. 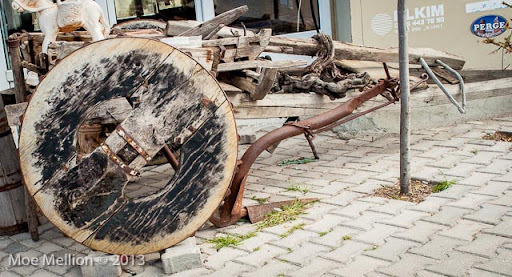 Instead, the carriage box of the plow sits on the axle, and two large metal spikes drop down from the carriage behind the axle and drag it forward. Presumably, the weight of the farmer holds the carriage down, while the animals pull it forward. Another interesting feature is the wedges protruding from the iron rim to increase traction. 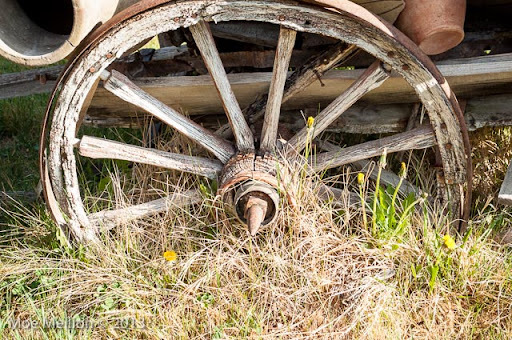 I am not sure what to say about the last wheel.